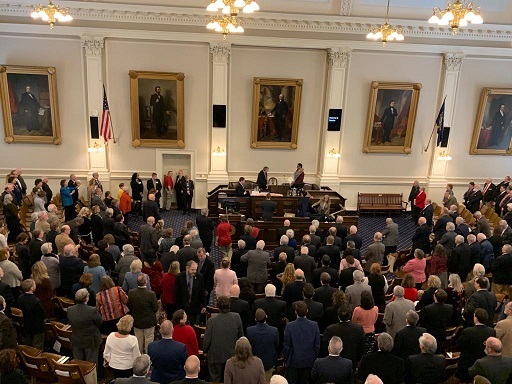 NEW HAMPSHIRE, U.S., March 14 2019 (Lokvani): The Hindu Temple of New Hampshire, Nashua, NH, once again had the honor of being invited by the New Hampshire State Legislature to give the opening prayer in the chamber of the House of Representatives on Thursday, March 7th, 2019. Sri Veeramani Ranganathan, co-founder of the Temple, shared ancient Indian wisdom from the Taittiriya Upanishad with those assembled, and prayed for a blissful life for all. This special and unique event was made possible through the kind support and efforts of the New Hampshire State Representative from Nashua, Smt. Latha Mangipudi. The custom of opening legislative sessions with prayer was borrowed from the British Parliament, where the practice of beginning each day with the reading of prayers had already existed for a long time. This custom has been practiced in the United States Congress starting from the first Congress in 1789. Most state legislatures have also adopted this tradition, and many have been practicing this for over a century. The Honorable Speaker of the House, Mr. Steve Shurtleff, introduced Sri Veeramani Ranganathan as the Guest Chaplain and invited him to deliver the opening prayer. All the assembled members of the House and the guests stood up in respect as Sri Veeramani delivered the prayer which lasted several minutes. Sri Veeramani started by offering pranaams to all assembled, offered salutations to parents and preceptors, and went on to deliver a selection of chants in Sanskrit from the Yajur Veda's Taittiriya Upanishad. The chanting of the Taittiriya Upanishad was followed by a universal prayer in Sanskrit ("sarve bhavantu sukhinah") seeking the well-being of all. Sri Veeramani followed up the chanting with an explanation in English of the meaning of the Vedic hymns that he chanted. The members of the House and the guests gave him a warm applause to express their appreciation. BALI, INDONESIA, March 7, 2019 (The New Daily): Lights on Indonesia's busiest holiday island were blacked out on Thursday night, airports were closed and tourists banned from the beach - ordered instead to hole up in resort rooms. Tens of thousands of security guards patrolled Bali's abandoned streets, pouncing on anyone speaking too loudly or appearing too animated in their homes. Laughing, playing music, using a mobile phone or even switching on a too-bright light could be attract the wrath of traditional guards known as the Pecalang. It may sound like the holiday from hell for some travellers, while others could be charmed by the novelty of experiencing a usually lively island, suddenly deserted. But for the Balinese it was a solemn time - the one day the population could take a breath to recharge after the frenzy of five million tourist visits in the past year. Mobile phone companies even agreed to switch off their services to ensure no one was distracted in their day of rest. Known as the day of silence, Nyepi is a Hindu celebration with restrictions on activities, noise and eating observed for 24 hours. It was due to finish at 6am on Friday, when the Balinese would then begin New Year's Day celebrations. HICKSVILLE, NEW YORK, March 6, 2019 (CBSNewYork): New York is a diverse melting pot and now there's a push to make school calendars look that way, too. As CBS2's Carolyn Gusoff found out Wednesday, a bill being considered in Albany could add religious holidays to the academic year. "It's only appropriate and fair to extend a holiday like Diwali or Eid or Vaisakhi to people from the South Asian community," said state Sen. Kevin Thomas, D-Garden City. "These are like Christmas and New Year." Thomas, New York's first senator of Indian descent, is sponsoring a bill to give districts the ability to close on six additional religious holidays -- two Islamic, two Hindu, one Sikh and Christian Good Friday. New York City schools already close on the Lunar New Year and Islamic Eid al-Fitr. The bill allows school closure when at least 7.5 percent of student population is of that faith. New York state education officials say there is nothing in current law that prevents such a move as long as children attend the required 180 days. The wise man should merge his speech in his mind and his mind in his intellect. He should merge his intellect in the Cosmic Mind and the Cosmic Mind in the Tranquil Self. PRAYAGRAJ, INDIA, March 5, 2019 (Financial Express): Even before midnight, devotees from different walks of life and parts of the country began to pour into Sangam city to take holy dip on Mahashivratri, the great night of Lord Shiva and the last bathing day in the one-and-a-half-month-long Kumbh Mela. Till Monday evening, more than 10 million devotees had taken a holy dip in the Sangam area, officials said. The bathing ghats brimmed with colour in the morning. Late-night showers in parts of the holy city failed to dampen the spirit of the pilgrims. As the sun came out, devotees enthusiastically greeted the sun, while some offered obeisance to the Sun God with traditional yoga asanas. "Till evening, as many as 11 million devotees have taken a dip in the Sangam area. With Mahashivratri's snaan, so far more than 240 million devotees have taken a dip during this year's Kumbh," Kumbh Mela Adhikari Vijay Kiran Anand told PTI. Till March 3, the number of devotees who had taken the dip during the Kumbh stood at 230 million, an UP government official said. According to Hindu mythology, Mahashivratri symbolises the last holy bath of Kalpvasis, who spend the month of Magh -- the period of austerity -- in minimal means. 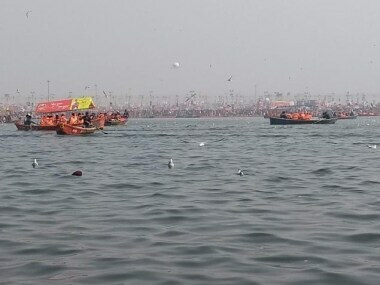 Ashutosh Varshney, an astrologer who has set up a camp in Sector-6 of Kumbh Nagri, said, "Mahashivratri marks the culmination of the Kumbh and the prominent bathing days. This year, it fell on a Monday, the day dedicated to Lord Shiva, after a long time." Kumbh is the largest religious gatherings in the world. It is held once in every 12 years. 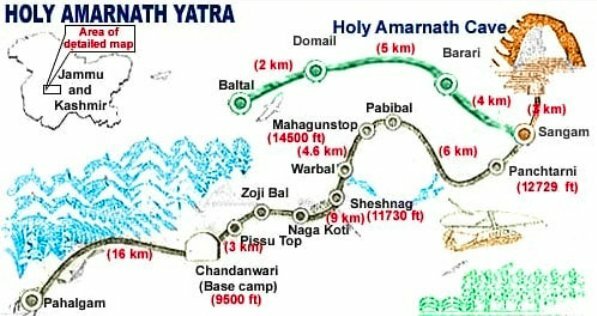 JAMMU KASHMIR, March 8, 2019 ( National Herald): Amarnath Yatra this year will begin July 1, go on for 46 days and will conclude on August 15. The decision was taken by the Shri Amarnathji Shrine Board (SASB), headed by Governor Satya Pal Malik. The SASB said it noted the steps taken by its CEO for registration of pilgrims through 440 designated branches of Punjab National Bank, Jammu and Kashmir Bank and YES Bank and directed all steps be taken to begin advance registration on April 1. The board also directed wide publicity, through electronic and print media, of the need by all prospective pilgrims to secure compulsory health certificates from doctors/hospitals nominated by the state or Union Territories where they reside before seeking advance registration from the nearest designated Bank, which would issue a Yatra Permit valid for the specified date and route. It also said that it be widely-known that no one below 13 years of age or above 75 years would be allowed for the pilgrimage, and also appealed to all potential pilgrims to consult their doctors before embarking on the pilgrimage. "The Board directed its CEO to take timely steps for ensuring uninterrupted telecom connectivity in the Yatra area during Yatra 2019. Appreciating the important services rendered by the Langar organizations, the Board looked to their continued support during Yatra 2018," the statement said. It also said that the awareness campaign would be launched with the cooperation and support of the Ministry of Information and Broadcasting and all information relating to Yatra will be available on its website (www.Shriamarnathjishrine.com). Much more of the author's positive Mela observations at "source". BALI, INDONESIA, MARCH 7, 2019 ( Daily Mail): Bali's airport will close for 24 hours, the Internet will be turned off and streets emptied as the predominantly Hindu island in Indonesia observes its New Year with an annual day of silence.The Day of Silence, Nyepi to the Balinese, is a day of reflection and TV and radio broadcasts also stop. Nyepi begins at 6.00 am, clearing beaches and all public spaces of people except for special patrols to ensure silence is observed. For the second year, phone companies will turn off the mobile Internet on the island, home to more than four million people. Balinese will stay indoors, covering windows and keeping lights off for the day of reflection that is the most sacred in Balinese Hinduism. 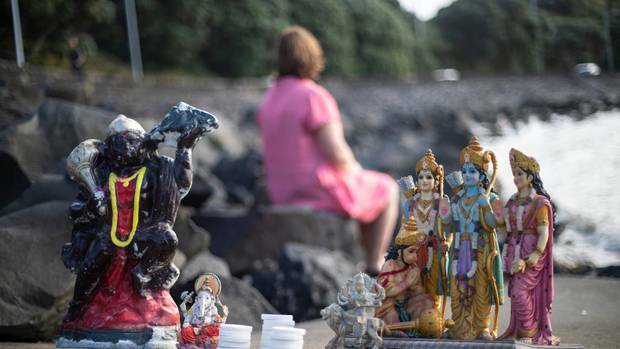 "A day of silence to mark Saka (Balinese calendar) New Year for us Balinese Hindus is an opportunity to restart life with a pure heart," said Wayan Gota, a hotel manager in Kuta, one of the island's tourist hotspots. "For me, through the ritual of observing thoughts while meditating on Nyepi, in essence I get the opportunity to evaluate my achievements for the past year and rearrange the plan of life for the next year," he said. When I look inside and see I am nothing, that is wisdom. When I look outside and see I am everything, that is love. 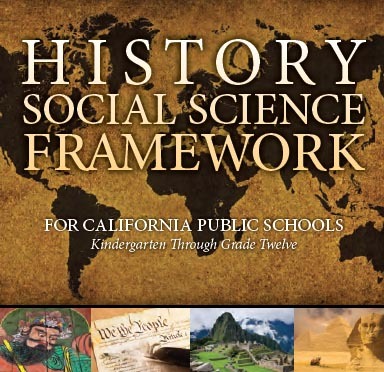 SAN FRANCISCO, CALIFORNIA, February 28, 2019 (courthousenews.com): California's State Board of Education Thursday defeated a lawsuit claiming it treats Hinduism unfavorably compared to Western religions in its educational standards and curriculum. "A reasonable observer would not view the standards and framework as primarily denigrating Hinduism," U.S. District Judge Charles Breyer wrote in his 33-page ruling. (click to download: http://www.courthousenews.com/wp-cont ... indu-education-ruling.pdf). Glenn Katon, an Oakland-based attorney representing the plaintiffs, said his clients plan to appeal the ruling, adding he believes it's high time that courts revisit a 48-year-old legal precedent that makes it harder for plaintiffs to prevail in Establishment Clause cases. Under a three-pronged test created in the 1971 Supreme Court ruling Lemon v. Kurtzman, a government policy or law must have a secular purpose, a primary effect that does not promote or inhibit religion, and it must not encourage "excessive entanglement with religion." It's the "primary effect" prong that Katon believes requires reconsideration, given the difficulty of proving that hundreds of pages of educational guidelines have a principal effect of endorsing or disparaging a religion. Katon represents California Parents for the Equalization of Educational Materials, a group that promotes the accurate portrayal of Hinduism in schools, and three Hindu parents suing on behalf of their children, who filed their complaint in February 2017. The plaintiffs claim the state Board of Education adopted recommendations from an anti-Hindu group of history teachers called the South Asia Faculty Group when it drafted new education guidelines in July 2016. But Breyer rejected those claims Thursday, finding the plaintiffs relied on hearsay [used in a technical legal sense] and picked lines from emails out of context to support their contention that the faculty group harbored anti-Hindu bias. The judge also found allegations that the state over-emphasized negative aspects of the caste system and singled out Hinduism as "a contributor to patriarchy" unfounded. The guidelines included language to clarify that the caste system and male-dominated structure were not unique to Hinduism or ancient India, Breyer wrote. The judge further rejected complaints that the state promotes a "debunked, Orientalist theory" that present-day India and Pakistan were invaded in 1500 B.C. by Aryans, "a tribe of European origin" that "became the creators of Hindu civilization." Because the framework states that another view holds the language was "indigenous to India and spread northward," Breyer found the state did not endorse the disputed Aryan invasion theory. "This language deals with history--contested history, but history all the same," Breyer wrote. "Whether or not there was an influx of Aryans into South Asia in 1500 BCE is appropriately the subject of a history and social science curriculum, and not actually a positive or negative statement about Hinduism." Because the Supreme Court is currently reviewing whether to alter the 48-year-old legal precedent established in Lemon, Katon predicted "it's entirely possible that by the time we get to the 9th Circuit, there will be a shift in the standards that apply to whether the state violated the Establishment Clause in this case."